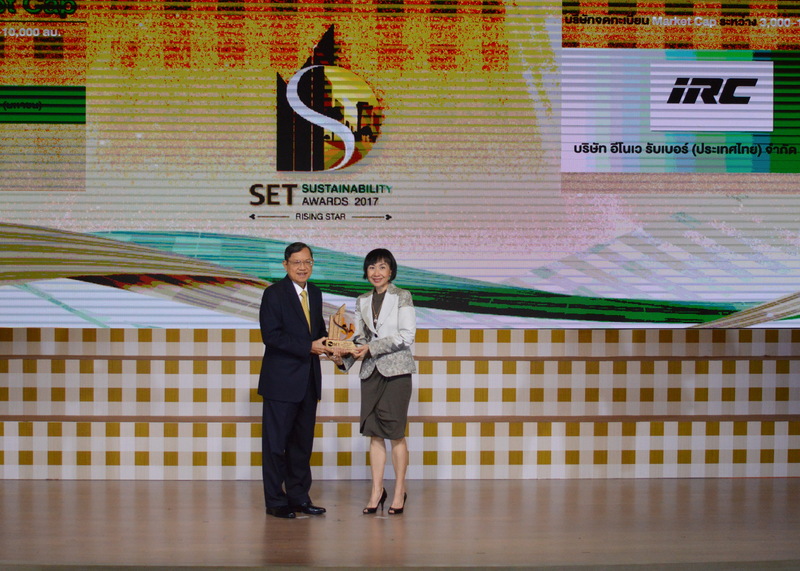 Mrs. Pimjai Leeissaranukul, the Chairman, and Mr. Hiroshi Harada, the president, of Inoue Rubber (Thailand) Public Company Limited “IRC”, led the executive directors of IRC participated in the ‘SET Sustainability Awards 2017’ on 8th November 2017 at Stock Exchange of Thailand (SET). 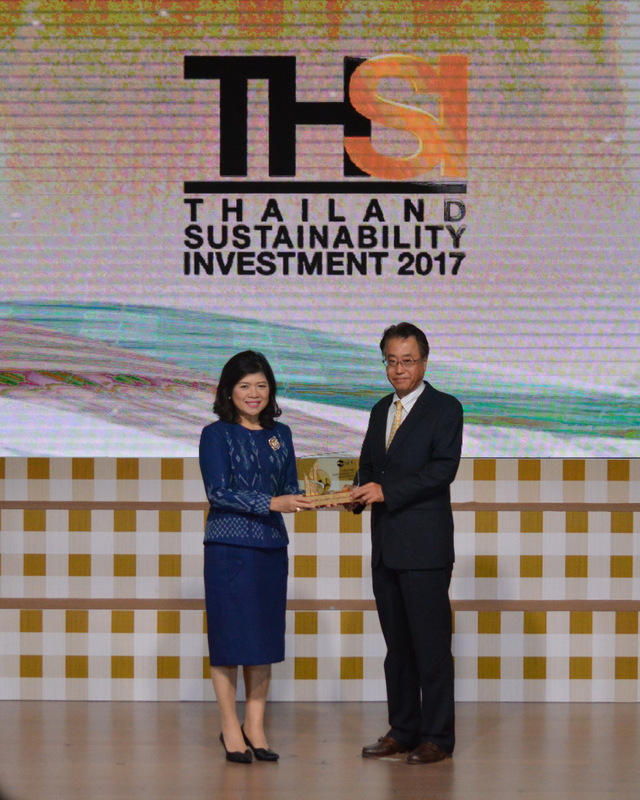 The Company has been selected for “Thailand Sustainability Investment” (THSI), a list of stocks with outstanding performance on environmental, social and governance (ESG) aspects among 65 listed companies. IRC also received “Sustainability Awards 2017” as “Rising Star” for outstanding performance in sustainability development. The Company was also considered as “role models” for creating value to both organization and society since the Company has been able to well integrate sustainability into the strategic plan and organizational management process, as well as demonstrate the business process management complying with the Sustainability Development Goals (SDGs). Moreover, the Company has also concerned on emerging risk and has paid attention on social and business innovation development to reinforce organizational competitiveness and to apply these innovations to benefit society and environment in all aspects.